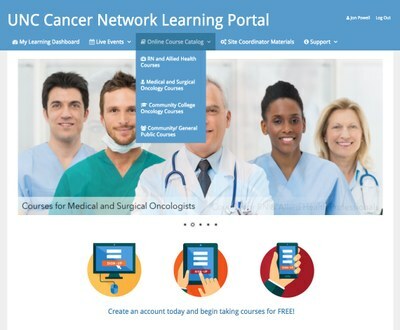 The UNC Cancer Network’s Learning Portal (learn.unccn.org) offers FREE CME, CNE, and ASRT continuing education credits for oncology professionals through our self-paced, online courses. We recruit UNC faculty and other oncology professionals to deliver lectures on the latest treatments, clinical trials, and supportive services available to North Carolina cancer patients. Breast cancer is the most common cancer among women in the world. There is no preventable cause for the disease. Consequently, our best means for detection and saving lives is with screening. This lecture will focus on essential advances in breast imaging and cancer detection. Dr. Carey will discuss the anatomic and genomic variables that impact on (neo)adjuvant decision-making in breast cancer and the current treatment algorithms that allow rational escalation and de-escalation of systemic therapy. In recent years, the public and lawmakers have recognized the benefits of using marijuana as part of a treatment plan for patients with difficult diseases to manage. For example, cancer patients undergoing chemotherapy find that medical marijuana diminishes nausea and can stimulate appetite. This presentation provides an overview of the complex history of medical marijuana and the current applications of its use. Acute Myeloid Leukemia (AML): Finally Making Progress? Acute Myeloid Leukemia (AML) is an aggressive hematologic malignancy that affects approximately 20,000 patients each year in the United States. Management of AML has changed little over the last several decades and outcomes remain unsatisfactory. However, recent drug discoveries and approvals show tremendous promise. This presentation will review the current treatment armamentarium of AML highlighting novel concepts and investigational agents in development.